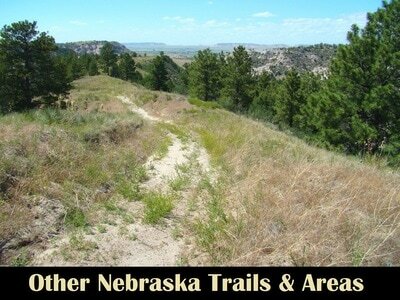 The trails in Nebraska’s Panhandle vary greatly in length, grading, surface, and accessibility. With more lands open to the public, the northern part of the Panhandle has the greatest number of trails and off-trail hiking areas, and the majority of those are in Dawes and Sioux counties. In addition to these trails are many old logging roads and unmarked trails open to hikers and mountain bikers in the region. The wise hiker or biker will take the time to study reliable maps, and if necessary seek additional advice or other options. 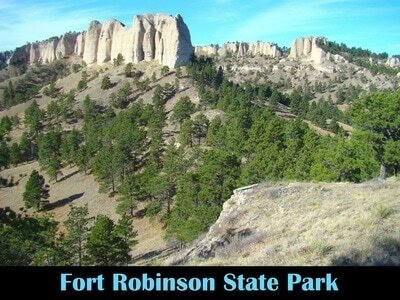 The National Forest Service offers the best maps locally plus lots of friendly advice as well. Please do not overlook state park offices or wildlife management offices either. They can also offer a wealth of information and friendly advice. 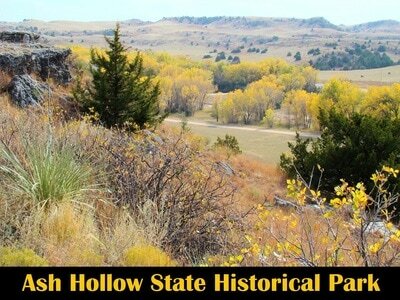 The best map for trails, back roads, and landmarks in Dawes and Sioux counties, is the Nebraska National Forest Pine Ridge/Oglala National Grassland Map, available from the National Forest Service offices. They also offer free motor vehicle use maps for open forest service roads in this region. Almost all the trails and climbing opportunities can be found in the seven sections listed on this page. For information on hiking opportunities in any of these, click on the photo link you choose. Note: The forest fires of 2012 destroyed over 200 square miles. Many of the trails were closed for a period of time and were later re-opened. In addition to fire damage, pine beetles have destroyed many trees. In 2013, Winter Storm Atlas caused further wide-spread damage by dropping trees and large branches across trails throughout the area. 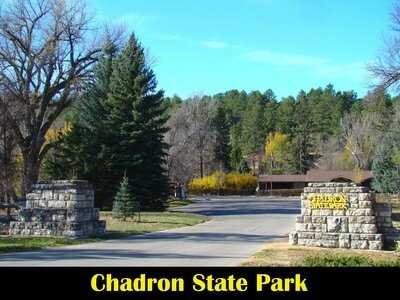 There has been extensive trail work going on and it would be in any hiker's best interest to contact the National Forest Service office in Chadron for up-to-date information on specific areas they might wish to venture into. The office phone number is (308) 432-0300.